3 tips to consider on World Backup Day. I know backup is a boring topic and you probably see a lot of content from me and the DPC Technology team, but World Backup Day is a great opportunity to take inventory and get it right. Here are my top 3 tips to consider when setting up your backup. Tip #1: Make sure your office is set up on an Enterprise quality Backup and Disaster Recovery System. If you are a DPC Complete Care client, you already have this. If you are not you need a redundant backup that is automatically happening at an interval that is appropriate for what loss you can withstand. If you lost 15 minutes of data what would that cost? An hour, a day? The backup should be geographically dispersed so if a hurricane wipes out your office the data is safe elsewhere. There should also be real time monitoring and frequent testing for these backups. There are a lot of other factors that go into designing these systems, but the point is you need an expert to design and maintain it. Tip #2: Have an automatic cloud backup of your personal and work computers. 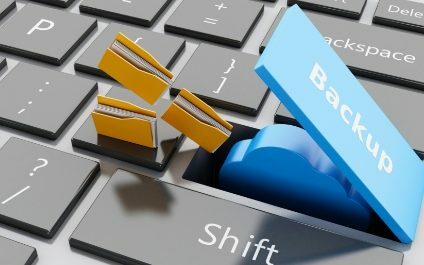 If the data on your computer is important, you should setup and automated backup. We use a “personal” version of our enterprise software but 3rd party programs like carbonite work as well. The point is that these programs backup everything so if you save your children’s pictures to a new directory they automatically are protected. Honestly, most of the data loss we see is on these important but not critical machines that get overlooked. There is nothing more frustrating than losing hours of work or sentimental memories. Make sure you protect yourself. Tip #3: Use cloud storage. If you are using Office 365 through DPC Technology, you have OneDrive for Business. This is an awesome tool for sharing your important files to all the computers and devices you use. But there is an additional benefit of having your files in multiple places in case something happens. To be clear this isn’t a back-up in the traditional sense and we offer a real back up of your Office 365 as an additional service, but it is a free way to automatically copy your files to multiple locations. As always, be careful where you store your files and if you really care about any particular data make sure you have it in at least 3 locations. If you need any help setting these backups up feel free to reach out to us at 904.443.0095.